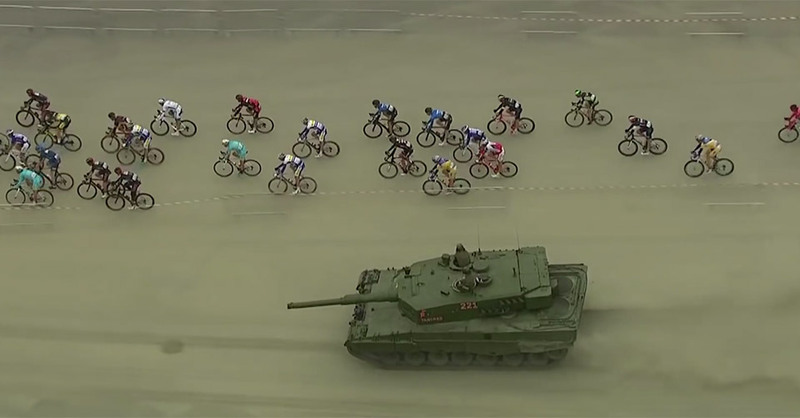 In the middle of the 2015 Arctic Race of Norway bike race, a military commander decided to send one of his tanks out to greet the cyclists as they rode by. We’re impressed that nobody fell off their bike when they saw it. Skip to 10:10.